Guide to Courier Insurance Section 4: What Influences the Cost of Courier Insurance? With over 20 years of experience behind ChoiceQuote, the team know a thing or two about how insurance quotes are calculated. As everyone knows, especially anyone in the 17 – 25 age bracket paying for their insurance – younger drivers are considered a higher risk. Therefore, insurance premiums are more expensive for those under 21 and 25. Businesses can’t discriminate on the grounds of age, but this is a factor that insurance companies have to consider when a courier – or any motor trader or driver – is under the age of 25, since they are, potentially, a higher risk on the road. Younger drivers with Pass Plus and Telematics fitted to the vehicle – as most couriers will insist on – are more likely to obtain insurance, since the extra training and use of these devices help lower the risk factor for insurance companies. Courier insurance, like other policies that cover occupation-specific drivers such as haulage, taxi and van drivers, is designed to factor in the specific risks of working in that trade. Drivers who spend more time on the road are statistically more likely to be involved in an accident. 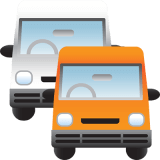 Whether you are self-employed and need courier insurance for your own car, van or motorcycle, or you are buying cover for your company, or a fleet of vehicles, the fact these are used for courier work will impact the quote an insurance company can provide. With our vast experience in the industry and strong relationships, and as a well-known broker, we are always on the lookout for the best deals, to help save you money on courier insurance, no matter how many miles you drive. We always recommend fitting Telematic devices to the vehicles, as a great way to improve driving experience and help to save you money. When it comes to calculating insurance, we know that faster, more powerful vehicles generally cost more to insure when compared to smaller vehicles with lower-powered engines. The same can be said of courier insurance. Makes and models matter. Engine power plays a role in insurance quotes. Everything needs to be factored in; but that doesn’t mean you should get the cheapest, oldest, slowest car or van and hope to get the cheapest quote possible. Insurance doesn’t just protect your vehicle; it also protects everyone on the road with you. Also, since your vehicle needs to be reliable and cheap to run for you to realise the best profit, it pays to drive something economical and in good condition. Think before you buy. If you do this full-time, you are going to be spending a lot of time in this vehicle, so make sure it is comfortable and does everything you need. Where you live, or where the business is registered, could be two different things. For insurance purposes, it mainly matters where the vehicle is going to be stored most of the time. Insurance companies need to factor risk based on crime data. Prices can change within a single postcode. One area could be considered risky, whereas another, only a few streets away, could be relatively safe. Since this is a works vehicle or a quote for a whole fleet, make sure they are stored somewhere safe, either in a garage or behind perimeter security where possible. Drivers with a no claims history – especially when it is five or more years – often qualify for lower premiums. This is great news for those who are self-employed and using their own vehicle, since that means they can get cheap courier insurance. It can also benefit companies that hire drivers with a no claims history; even though the insurance is through the business, they may qualify for lower premiums and a cheaper company or fleet quote when insuring a fleet of vans, cars or motorcycles. However, we don’t only provide a quote for those without a claims history. Accidents happen, and some of the insurance companies we work with are also happy to insure those with motoring convictions, claims and accidents on their file, either as self-employed drivers or when they are on a couriers business policy. Generally speaking, when you agree to pay a higher excess, the cost of insurance goes down. It doesn’t always pay to claim through your insurance for every incident since this means you end up paying more on your annual premium. There are legal obligations to report certain incidents and accidents, especially where third parties or their property are involved, but How you pay also influences the cost, since premiums can be paid in a lump sum, or spread over 10 months, subject to acceptance for credit. Where you or your team drive also influences the cost of the cover, since some insurers will cover driving in Europe for up to 90 days in the year. But more than that means a quote needs to allow for you driving further and therefore spending more time on the road, potentially outside of the UK. This is something couriers in the South East might need to consider if they spend a lot of time on the Eurostar or crossing the Channel on ferries. For couriers, we would usually recommend getting comprehensive cover. Business insurance should always protect you as fully as possible – whether you are self-employed or a director – from possible risks and liabilities, including risks to your vehicle and other road users. Remember, you aren’t only insuring your vehicle; you are protecting the reputation of your business and the clients you serve. Section 5: How to reduce the cost of courier insurance? Product: Guide to Courier Insurance Section 4: What Influences the Cost of Courier Insurance?